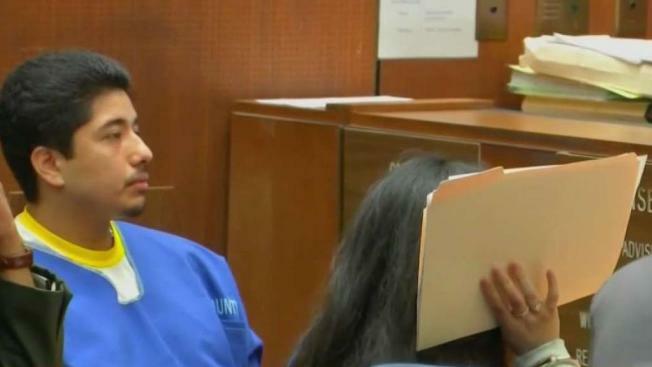 A 20-year-old woman was sentenced to life in prison without the possibility of parole for her role in the 2014 baseball bat beating death of a USC graduate student from China. Alejandra Guerrero was convicted in October 2016. She was sentenced along with a co-defendant Friday in the brutal attack on electrical engineering student Xinran Ji, who was ambushed by a group of assailants near the Los Angeles campus while walking back to his apartment following a study session. Ji was found dead in his apartment by his roommates. Co-defendant Jonathan Del Carmen, 23, pleaded guilty last year to second-degree murder. He was sentenced Friday to 15 years to life in prison. Both Guerrero, 16 at the time of the killing, and Del Carmen apologized in court Friday morning before they were sentenced. Guerrero also was convicted of taking part in an attack on a man and woman at Dockweiler State Beach about two hours after Ji was beaten. A third co-defendant, Andrew Garcia, 22, was sentenced last year to life in prison without the possibility of parole. Garcia was convicted June 8, 2017, of first-degree murder and one count each of robbery, attempted robbery and assault with a deadly weapon for attacking the man and woman at Dockweiler State Beach. Alberto Ochoa, now 21, is still awaiting trial in Ji's killing, along with the Dockweiler Beach attack. Deputy District Attorney John McKinney told jurors in Guerrero's trial that Del Carmen remained inside a vehicle after pulling over when Ji was walking near the USC campus. Garcia, Guerrero and Ochoa got out of the car to confront the victim, and Del Carmen drove around the corner as Garcia and Guerrero chased after Ji and continued the attack, during which Ji was beaten with a baseball bat. Following the attack, Ji was able to stagger away and make his way back to his fourth-floor apartment, McKinney told jurors. "He's dying. The fatal blows have already been inflicted. He doesn't know he's dying....," the prosecutor said of surveillance video showing the victim returning to the apartment building where he was found lifeless later that morning. In Ji's honor, USC established a Xinran Ji Memorial Scholarship, which is awarded annually to a promising electrical engineering graduate student from China, Hong Kong, Macau or Taiwan.